If you’re thinking about removing black mold from your home or business, think again. This type of project is best left to the professionals and their specialized safety equipment. Reduce your health risk by learning more about the top 5 black mold misconceptions. Many homeowners in Edmonton have become increasingly concerned about the presence of mold in their homes, in particular, the dangers of black mold. That's thanks to media coverage on the possible health risks black – or “toxic” – mold presents in schools, homes, and other public and private buildings. The associated legal issues and insurance claims have made mold a hot topic. The colour of mold is due to its food source rather than the type of mold. Any genus of mold can be black, or green, or blue, or pink. 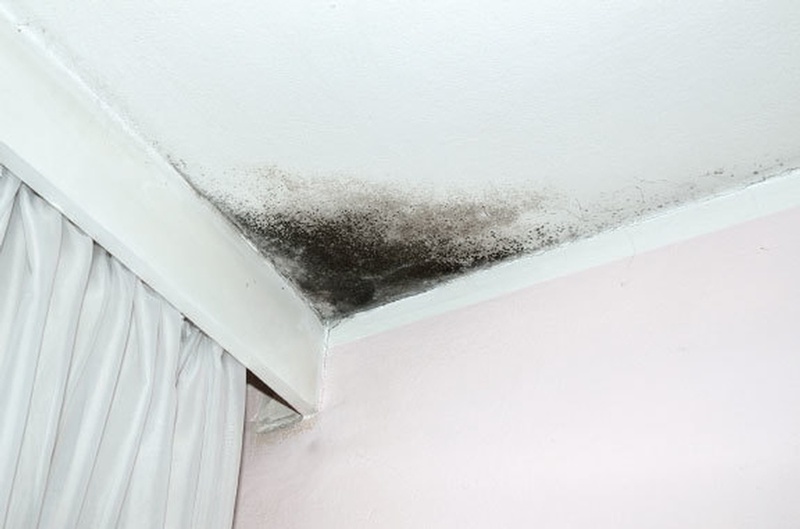 The type of mold that is referred to as black mold is Stachybotrys which has gained its reputation due to a number of deaths and serious impairment and the resulting legal cases. Today, we are dispelling some common myths and misconceptions about black mold and its removal in Edmonton. There are 100,000 species of mold in various colours and sizes. Mold has existed on Earth since life began and it surrounds us everywhere, indoors and outdoors. A portion of those are harmful to humans, but only in very high concentrations. Black mold, like all mold varieties, are living organisms that need moisture and organic material to survive. It enjoys warm, dark spaces and accumulates on wood materials, gypsum wallboards and wallpaper in damp or water damaged homes and buildings. Coupled that with dust or lint and it has the environment it needs to thrive. Many people think they can kill mold with toxic chemicals, such as bleach. However, microscopic mold spores may be left behind giving mold the ability to grow again. Bleach is also a water-based product that can help mold survive if the treated area is not completely dry for 24 to 48 hours. Not to mention, humans are equally susceptible to bleach’s damaging chemical properties. Mold removal is a job best left to professionals in Edmonton. As a living organism, mold actually eats right through paint. You may get a couple months of mold-free looking walls, but it’s still lurking there. Soon it will start to poke through or cause the new paint to peel and you will have the same problem. Exposure to Stachybotrys, the scientific name for black mold, can be very serious. Black mold testing should be done if you have a compromised immune system or experience health issues thought to be caused by mold. Excessive mold exposure can cause allergy or flu-like symptoms or more serious infections to your body's internal organs. Toxic mold exposure has also been linked to fungal infections and pulmonary haemorrhage. Contact the experts in Edmonton at Advanced Remediation Solutions Inc. We have the knowledge, skill and equipment to get the job done for good. Contact us today!